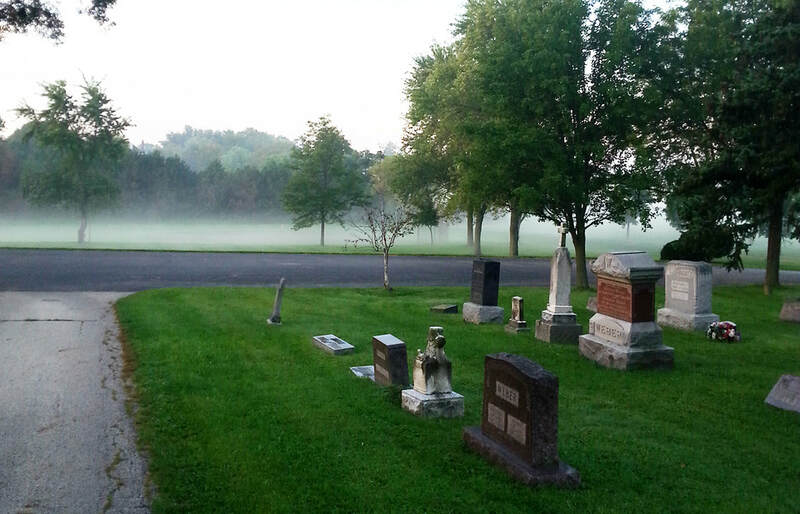 Our cemetery has been a part of community life since 1864. Many church members, their family, friends and local residents are buried within these loving confines. 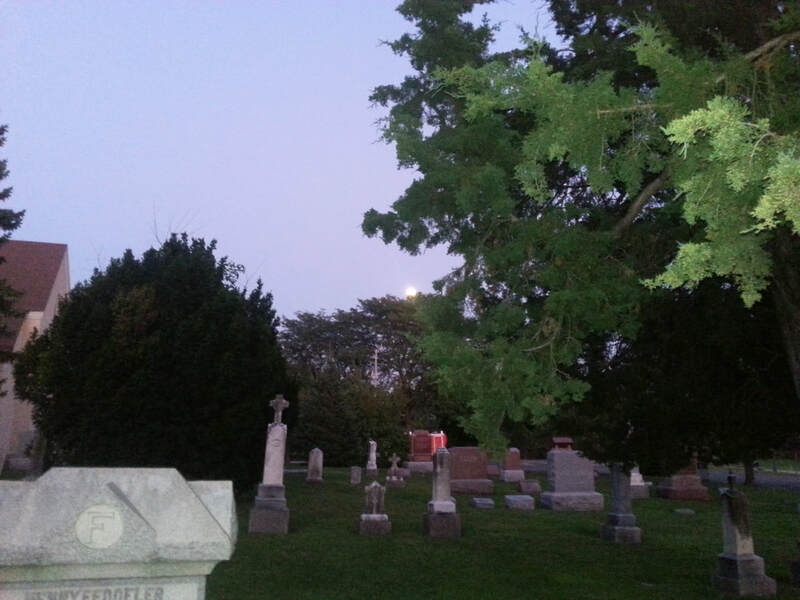 The cemetery has been devotedly taken care of by members of the church since those early days and this tradition continues today. If you take a walk through the older section of the cemetery you will notice many occupants have upright monument markers which give added character to the cemetery. The newer parts of the cemetery have flat markers and give a park like impression. Flat marker monuments are the only choice for installation in the cemetery today, to assist in cemetery maintenance. The columbarium in our garden cemetery was added to accommodate those who have chosen cremation as their internment preference. Many families lovingly take care of their plots by keeping their decorations current, flowers watered and fresh, clean headstones, and weed and feed their grassy area. This example is encouraged. Nothing says "I REMEMBER YOU" more than a holiday, special event and seasonal decoration. If you are in mourning, please have your Funeral Director contact us for arrangements. Remember to keep your deed in a safe place and make a copy available to your estate executor. St. Matthew Lutheran Church of Hawthorn Woods, IL. has erected a beautiful columbarium in our garden cemetery to accommodate individuals and families who have chosen cremation as their internment preference. 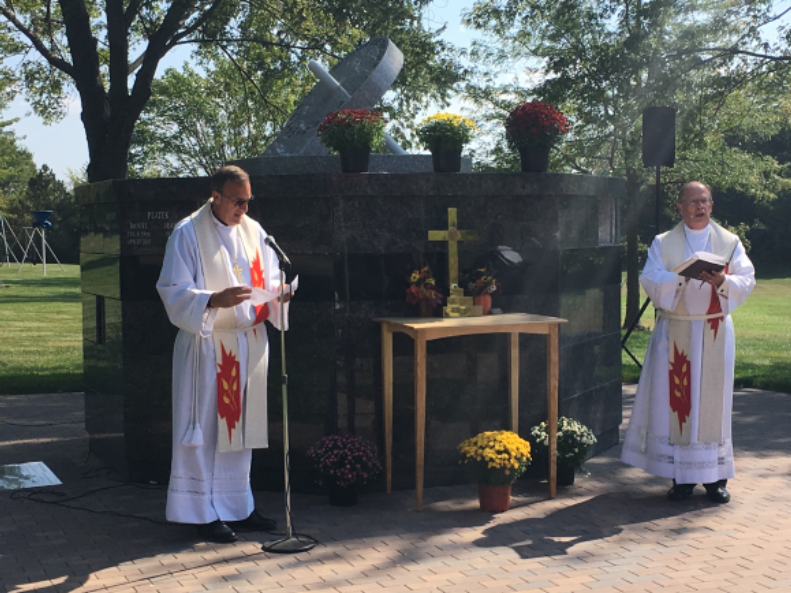 This project was made possible through the generous donation of eighty six thousand dollars from the Stohl Family trust Fund to St. Matthew Lutheran Church Cemetery Enhancement Fund. The columbarium/ossuary of octagon shape is solid granite (shades, crypts and common burial area weighing in at thirty six thousand pounds. The columbarium rests on eight inches of concrete which includes nine piers sixty inches deep into the ground. The Columbarium granite color is mahogany, the banner which will be the home to the names of all interned in the common burial space is black granite and the benches and interior crypts are maple in color. There are 64 double niches, 32 single niches, and space for 930 spaces for internment's in the common burial ossuary area. 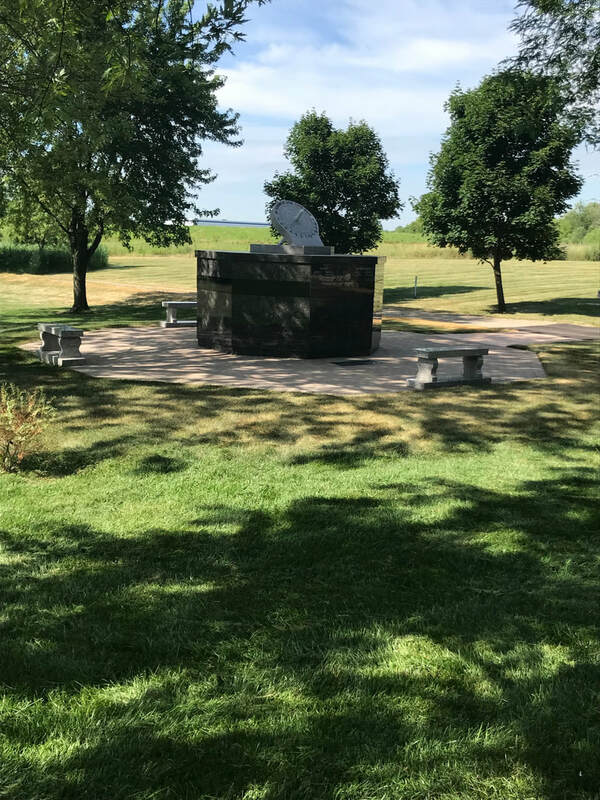 The Columbarium and Sundial were constructed by the Wilbert Memorials of parsons, Kansas. located at St. Matthew is registered in the “National Registry of Sundials”. Mr. Robert Weinsten was the consultant for this project at St. Matthew. Mr. Weinstein is a former funeral director and designer of cemetery monuments, memorials and columbaria. Mr. Weinsten was very patient in the developmental stages of the columbarium and arranging visitations to various cemeteries which have a columbarium as well as a visit to the American Wilbert Vault Corporation in Bridgeview, IL. Mr. Weinstein’s input and knowledge to this program was exemplary. We thank him for his patience and cooperative disciplines. St. Matthew would also like to recognize the Larry Smith Concrete Company of Ingleside, IL. for the foundation development and construction of the columbarium base and walkway. Ruffolo, Inc. of Indian Creek, IL. was the landscaping contractor for the installation of the paver project which reflects the octoganal design of the columbarium. Anthony Crane Service of Mundelein, IL. 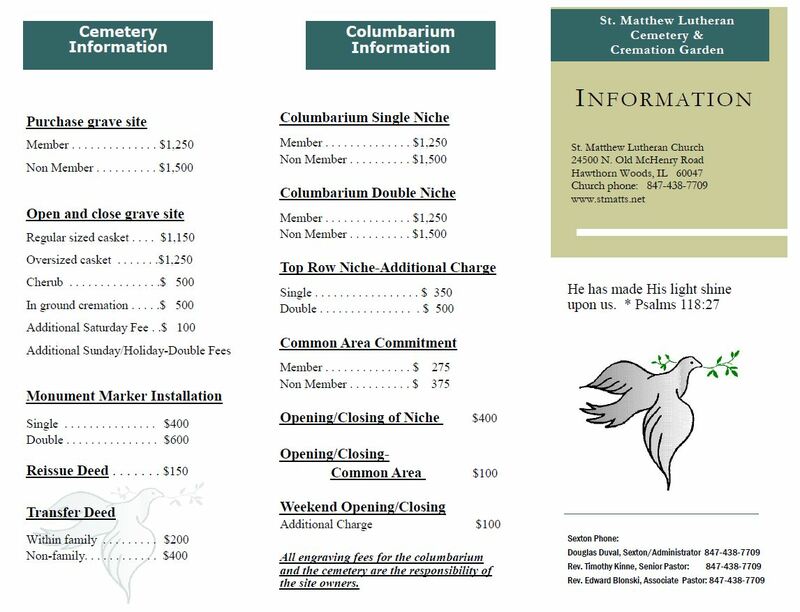 was the contractor to place the thirty six thousand two piece columbarium/ossuary and sundial. Working with the contracting crew of the Wilbert Company was a project of harmony and skill. St. Matthew thanks the ladies Evening Guild and Ladies Aid organizations for the donation of two of the three benches located at the Cemetery Garden Site. Thank you ladies for these gifts that allow families to relax and reflect while at the columbarium site. Thank you Lord, for your guidance and direction to establish this Columbarium for those who wish to use the means of cremation and above ground burial site.